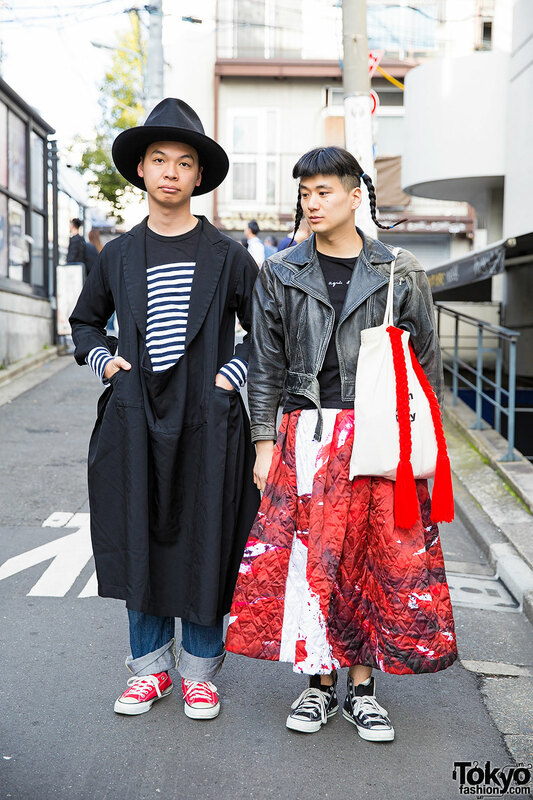 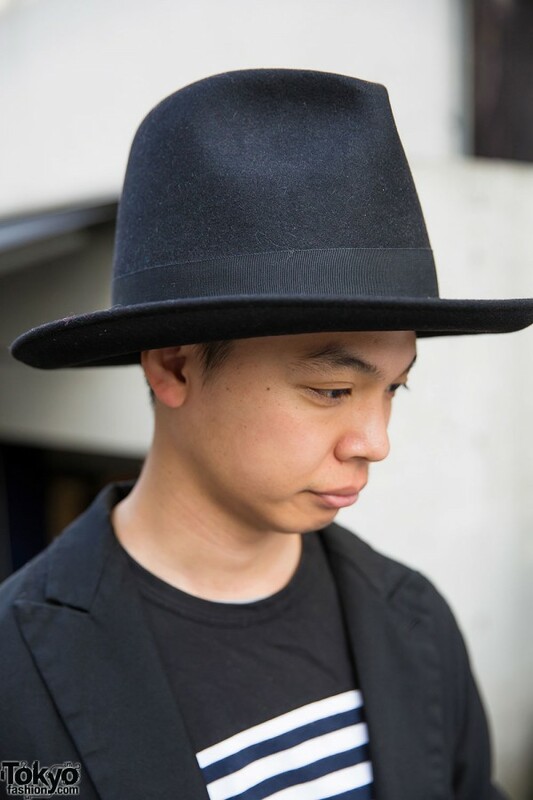 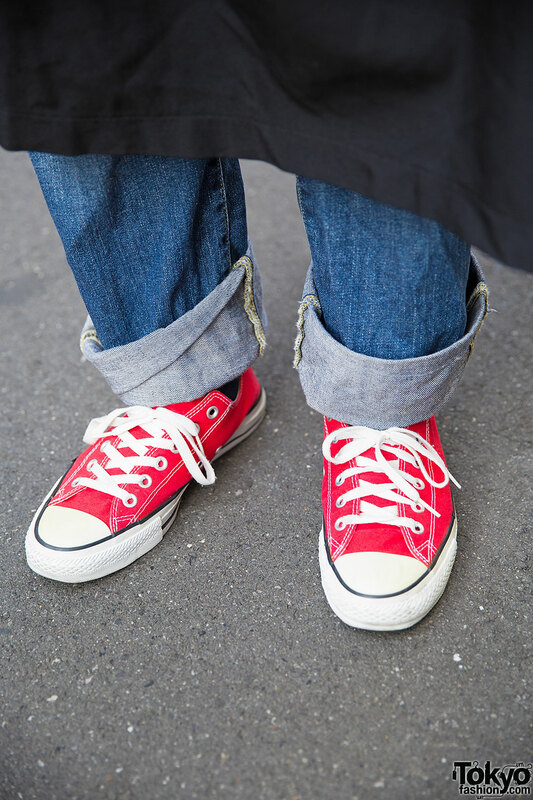 Daisuke is pictured here to the left, with a hat, a Comme des Garcons trench, a striped top, Levi’s jeans and red Converse sneakers. 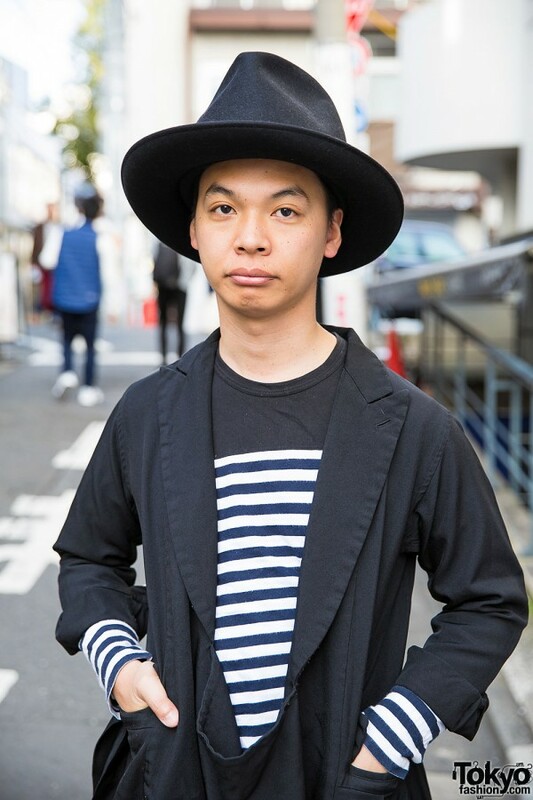 He told us his favorite brand is the Japanese legend Comme des Garcons. 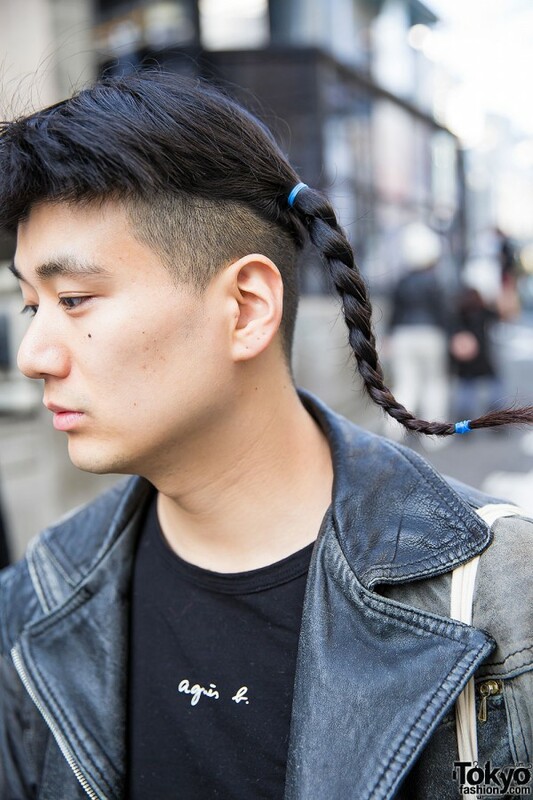 Room Boy Pony is pictured to the right with braided tails. 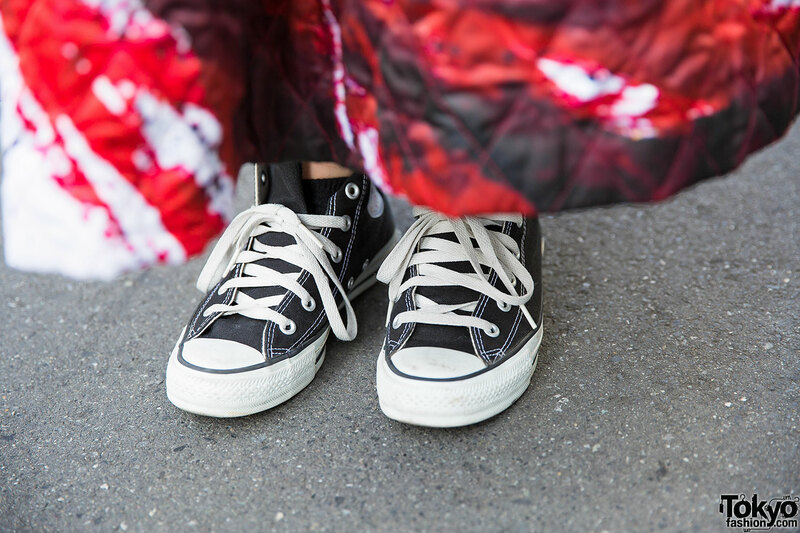 His leather biker jacket is a resale, worn over an Agnes B top with a Comme des Garcons skirt and Converse sneakers. 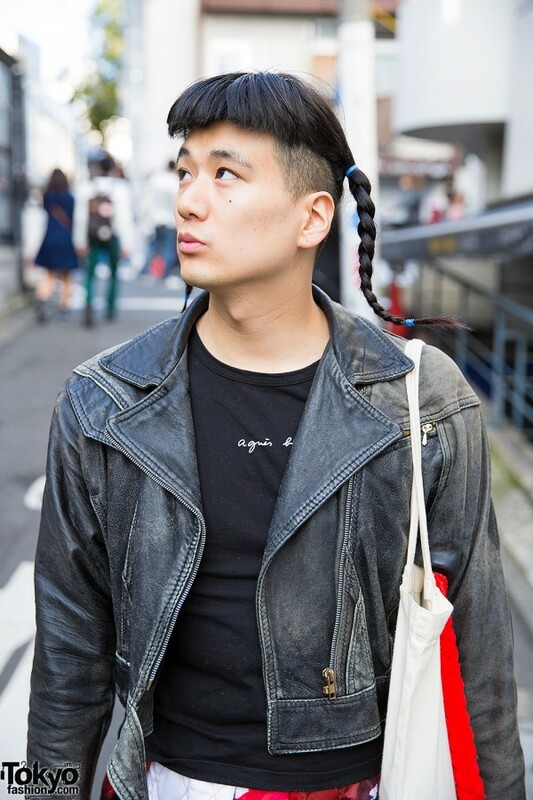 His tote bag – featuring braids – is by his own brand Room Boy Pony. He is also a fan of Comme des Garcons. 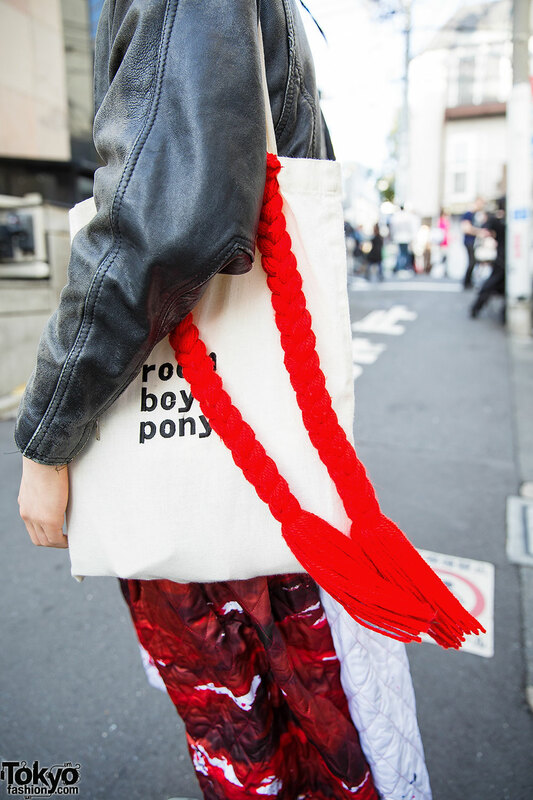 Find Room Boy Pony on Twitter and Instagram.